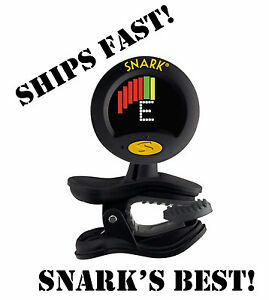 Make sure your bass guitar has the right tune with this Snark super-tight all-instrument tuner. This tuner clips onto the bass guitar so you can tune it any time you need to. It weighs just 0.13 pounds, making it easy to walk around or dance as you play. This tuner offers a fast response, adjustable tempo, and calibration. It can calibrate the pitch and has a built-in metronome. It uses a 360-degree rotating liquid crystal display. Er zijn 275 objecten beschikbaar. Voer een getal in dat minder is dan of gelijk is aan 275. Directe betaling van US $13,97 is vereist.